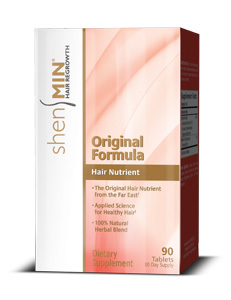 The Shen Min® natural formulas are specifically created for men's and women's unique needs. 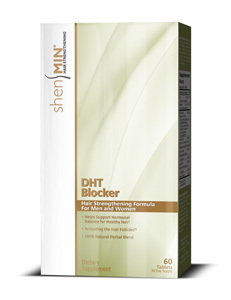 One of the most common types of hair loss in women is female pattern thinning (FPT). 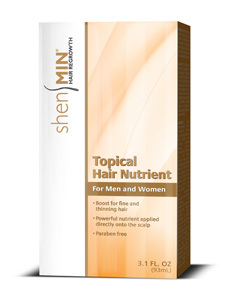 With age, the hair tends to "thin out" in generalized areas such as the sides of the head. 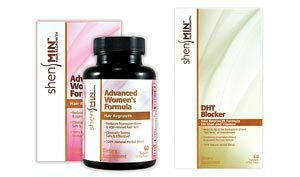 This type of FPT affects more women as they pass through the stages of menopause. In postmenopausal women, a relative lack of estrogen is thought to be responsible for hair thinning. ©2019 Natrol, LLC. All rights reserved.